Legacy Of Williamsburg Bed & Breakfast Our records show that this inn is closed. 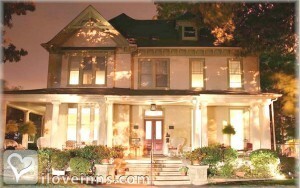 Hampton bed and breakfast travel guide for romantic, historic and adventure b&b's. Browse through the iLoveInns.com database of Hampton, Virginia bed and breakfasts and country inns to find detailed listings that include room rates, special deals and area activities. You can click on the 'check rates and availability' button to contact the innkeeper. Hampton, Virginia offers Buckroe Beach, one of the finest beaches in this part of the state. Nearby are fishing charters and excursion and for those who want to see natural wonders, Grandview Nature Preserve is the destination. Other attractions that are found in town are the American Theater, Langley Air Force Base, and Hampton Coliseum. Langley Speedway is a favorite venue of many professional car races. The Virginia Air and Space Museum provides visitors education on the history of aviation and so does the nearby NASA Research Center. Even the schools here are considered as attractions, especially Hampton University and Thomas Nelson Community College. Guests staying at Hampton bed and breakfast inns should also consider visiting Busch Gardens, Ferguson Center for the Arts, Peninsula Town Center, Jefferson Laboratories, and Naval Station Norfolk. By Magnolia House Inn.